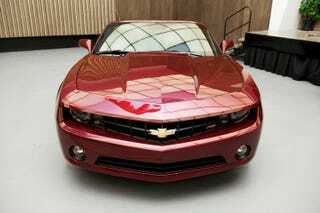 These are the first two official photos of the Chevy Camaro Convertible released today by GM on Facebook. So what's there to say? Not much. It's a 2011 Chevy Camaro that'll get a cloth roof option for 2012. Yay.